T.I. paid $300 for cursing in public. This past year has been filled with many legal issues for T.I. While the rapper's faced lawsuits over his shuttered restaurant and for allegedly defrauding cryptocurrency investors, the rapper was actually arrested at the top of the year after he confronted a security guard in his neighborhood. The rapper was later arrested on charges of assault, public drunkenness and disorderly conduct. He's since gone to court and settled it up with a little bit of change. According to TMZ, T.I. and the security guard settled their issues in the court. The rapper paid a $300 fine after he pled no contest to disorderly conduct. Fortunately for him, the public drunkenness and assault charges were dropped. The rapper appeared in the Henry County, GA court earlier today (Dec. 13). During the trial, T.I. completely denied that he ever got into a physical altercation with the security guard, but he did admit that he did yell obscenities at him. T.I. was arrested in May after he got into a confrontation with a security guard in the gated community he lives in. After he was let into his neighborhood, he arrived back to the security shack on foot to continue his confrontation. 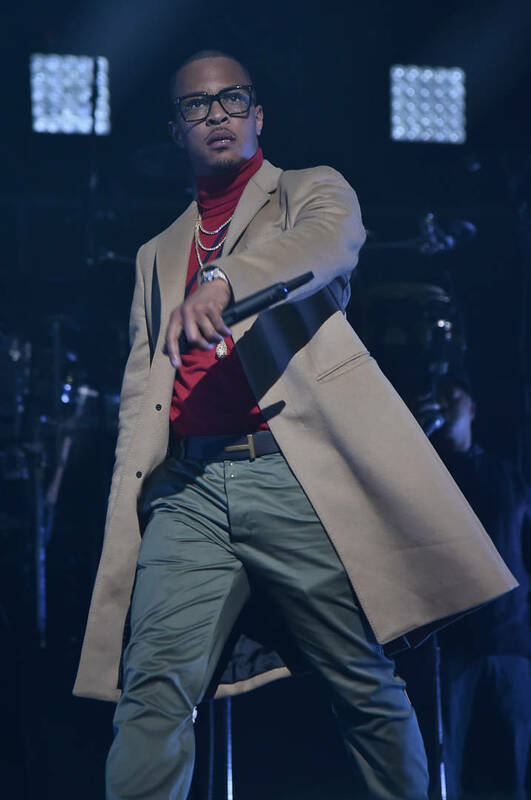 Tip yelled at the security guard, claiming he was asleep on the job and cussed out his wife when the rapper called her to verify that he did live in the neighborhood.